Helen Churchill Candee was on board the RMS Titanic on its one and only voyage. On the memorable night of April 14, 1912, the mighty Titanic rubbed its side along a massive iceberg, and the damage was severe enough that the ship was doomed to sink in a matter of hours. Though most of the passengers on the ship really had no idea that the Titanic was truly going to sink, others took no chances, and went up on deck prepared to go on board the 20 small lifeboats. One of the brave people to get into a lifeboat was 52-year-old Helen Churchill Candee. Candee was touring Europe doing some research for her new book, when she got word from her daughter that she needed to return to America immediately due to her grandson Harry being injured in a car accident. The Titanic was the only ship heading across the oceam to America, and Candee booked her passage immediately. When the Titanic struck the iceberg, Candee jumped into lifeboat number 6, but the action broke her ankle. For a year after the disaster, Candee walked with a cane while her ankle healed. Once back in New York City, Candee decided to write about what happened on the RMS Titanic. Candee talked to the paper, the Washington Herald, and talked about the sinking of the Titanic. After the interview was published, Candee decided to write her own account of what had happened the night of April 14, 1912. Candee’s article was quite detailed, and appeared in the magazine, Collier’s Weekly. The publication put Candee’s firsthand account of the disaster on the cover, taking advantage of the fact that the whole world was dying for all the information they could get their hands on about the sinking of the RMS Titanic. However, Candee also caused controversy with her firsthand account because she hinted that she had a ship board romance with a male passenger that she refused to officially name. However, it was well-known that Candee was traveling with two men on the ship named Edward Austin Kent and Hugh Woolner. When the first World War broke out, people did their part to support the war effort no matter what country they were from. 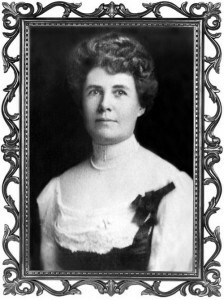 Among those people that were doing their fair share, was Helen Churchill Candee. Candee joined the Italian Red Cross, and volunteered to work as a nurse in both Rome and Milan. At the end of the war, Candee was decorated for her services. One of the most famous people that Candee treated as a nurse was the famous author, Ernest Hemingway. Once the war was over, Candee saw the world and went to places like China, Indonesia, and Cambodia, and she used those travels as inspiration for books she wrote. By 1925, Candee, and a group of eight other women, formed the Society of Women Geographers. When Candee was almost 80, she was still quite active, and landed a job with National Geographic magazine. In 1949, at the age of 90, Helen Churchill Candee died quietly at her home in Maine. The famous author Danielle Steel immortalized Helen Churchill Candee forever by including her in her best-selling book, For No Greater Love, which was also a television-made movie. Also, in the documentary produced by the Walt Disney studio, Ghosts of the Abyss, starring James Cameron and Bill Paxton. Candee was played by an actress, and in the documentary, she is seen walking on the very bow of the Titanic on the very night that great ship struck the iceberg and sank into the cold North Atlantic. Candee visiting the bow of the Titanic was featured in one of the books that Candee wrote, and James Cameron was inspired enough to include a bow scene in his epic movie, Titanic. You can read more about the movie here. During her long life, Helen Churchill Candee did more than just survive a terrible disaster, but she also showed that women could be more than just mothers and housewives, but can literally be anything they want whether it is a nurse, lawyer, or even a politician. Helen Churchill Candee was a modern women before her time, and women today owe her a lot.